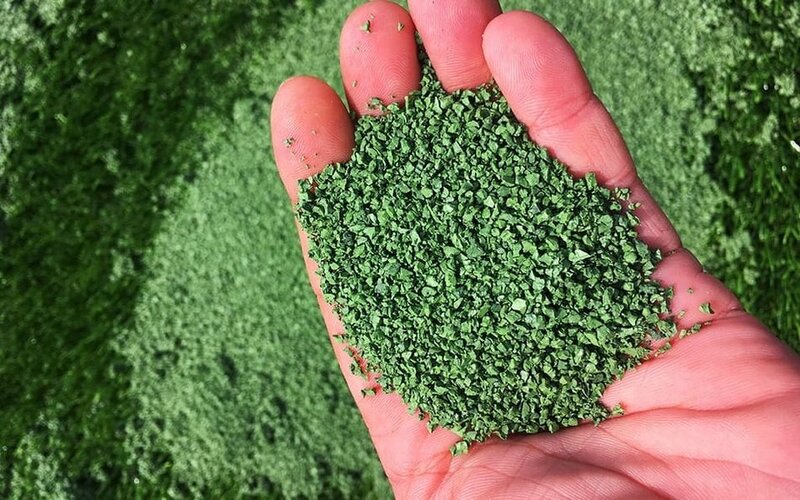 A UK company claims that it has produced the first 100% safe rubber crumb infill for artificial surfaces and, if their website is to be believed, this truly is good news. The company in question is Murfitts Industries and the product in question is PRO-gran which, according to the website, has "... literally 'changed the game' in high-performance infill for artificial sports pitches". The website further states that it is "a Polymeric Infill that provides exceptional performance, it is the winning formula for 100% pitch safety, both for players and the wider environment. What's more, it has been thoroughly tested and exceeds the EU's toughest toxicology standards since it releases no heavy metals, PAHs or micro plastics." The results from various sources, including Labosport and SGS INTRON B.V. (Dutch Soil Decree), have been released in recent months, so the product has clearly been 'in the pipeline' a good while. The product meets the criteria for REACH 1272/2013. It is a Polymeric Infill that combines the dynamic properties of rubber, which is then "coated in polyurethane to make it 100% safe". From a marketing perspective, this is all good news for the company and there will doubtless be other rubber crumb manufacturers currently scurrying around playing catch-up. And, if the product does what it says on the tin - consistency of play, lower surface temperatures, no airborne particulates, almost no splash, effective drainage and no aroma - then it is very good news for the health of our children, grandchildren and the countless budding sports stars playing on 3G. Of concern to detractors, however, is not the claims of the new product, but rather the similar claims of the old product which, in light of worries over its carcinogenic properties, seem now to be somewhat unfounded. If the old was safe, then why the need for the new? Will the coating not wash off or degrade with all the games being played on it? And, if it's does wash off, degrade or the coating becomes broken, does this mean the rubber then becomes less than 100% safe and it allows chemicals to escape? Will all new build 3G pitches now be specified with PRO-gran, or a similar alternative when it becomes available? Whilst the FA, the Football Foundation, Sport England, the Premier League, IOG, RFU et al got behind a European Chemicals Agency (ECHA) evaluation of rubber crumb earlier in the year that stated "recycled rubber infill causes a very low level of concern", the US Environmental Protection Agency (EPA) report on 'Recycled Tire Crumb Used on Playing Fields' has been delayed whilst their evaluation continues. Therefore, even after the ECHA's evaluation, safety concerns remain with the original product. The EPA's findings are being eagerly awaited. Of course, the arguments surrounding natural versus article will rumble on, as will the environmental issues regarding flooding, end of life disposal and such like. Murfitts claims that the new material will remain in perfect condition for over twelve years have yet to be proven, but the innovation is surely to be applauded, isn't it?